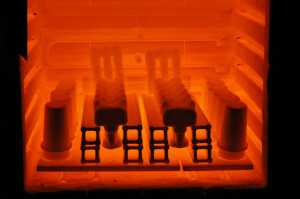 2300ºF (1260C) Flaskless Solid Flask Molds Ready for Casting. 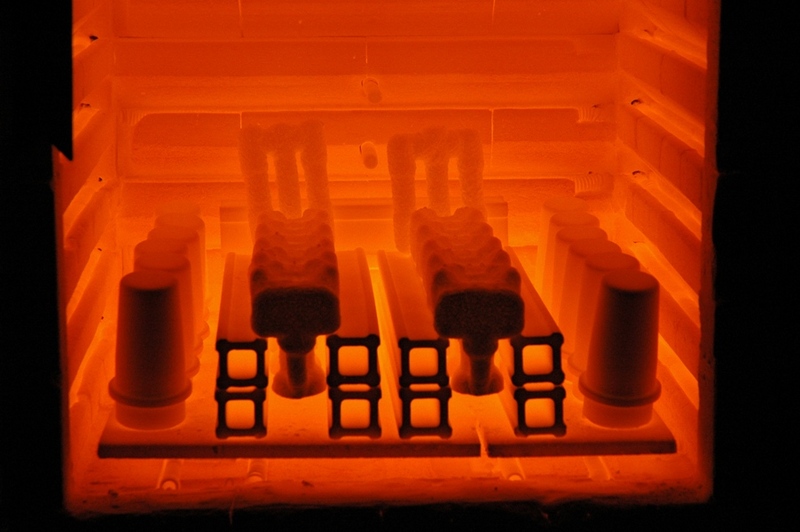 RapidProtoCasting delivers precision superalloy prototype castings and production castings supporting your new product development programs and expanding engineered casting possibilities with exceptionally precise, complex and thin-wall castings. Precision production castings and prototype castings in the strongest medical and aerospace alloys including 300 series steels 304/304L stainless and 316/316L stainless, 400 series stainless steels, precipitation hardening stainless steels 13-8, 15-5 and 17-4, nickel chromium alloys Inconel 625 and Inconel 718, titanium alloys and copper alloys including beryllium copper. Investment Casting Shell Molds at 2300ºF (1260C) ready for casting. The exact product design you need to optimize fit, form and function, including thin walls, large section changes, unlimited 3D contours, negative draft, zero radii corners and complex internal passages. Superalloy castings allow you to select the optimum materials for strength, high-temperature strength, weight, corrosion resistance, biopassivity, resistivity, permeability and hardness. file to finished full-function metal prototypes in days using integrated rapid precision casting processes to deliver precision engineered prototypes, appearance models, demonstration models and display parts. High strength dimensional metal prototypes with all the engineered features, operating capabilities, appearance and performance of cast, machined, forged, MIM, stamped or EDMed parts. RapidProtoCasting is the world leader in thin-wall castings in stainless steel, Inconel and titanium superalloys. 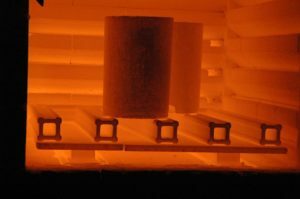 We have produced more than 22,000 castings with thin walls less than 0.016″ (0,4mm) thick and many with 0.012″ (0,3mm) and 0.010″ (0,25mm) walls. The finest fully inspected and tested thin-wall castings available anywhere. RapidProtoCasting produces production castings in quantities of 100 castings to 15,000 castings using wax and plastic-injected patterns. RapidProtoCasting supplies aerospace, medical and industrial castings in prototype and production quantities. Working with our network of subcontractors we deliver finished castings inspected and tested to all AMS, ANSI, ASTM, ISO MIL-STD, NACE, UNS and customer specifications.